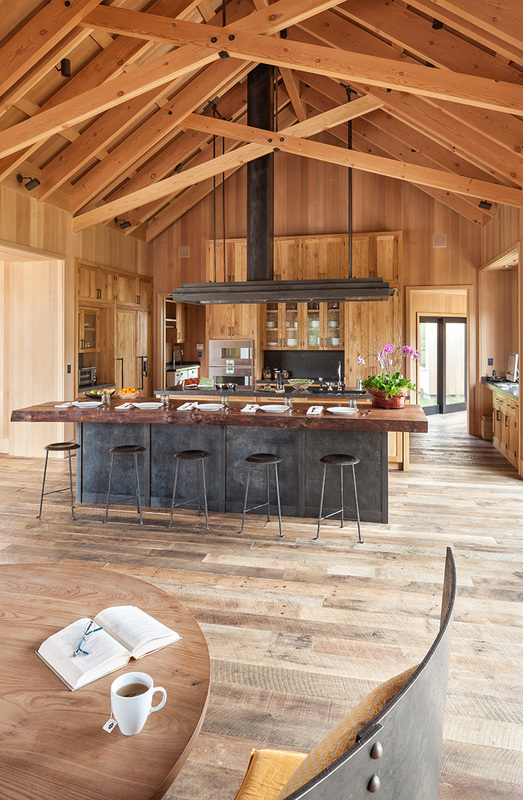 More than 50 experts from every imaginable area of green construction worked on this Northern California property – suffice it to say that the house is made of reclaimed and FSC-certified wood, reclaimed stone and metal, and high-efficiency glass. 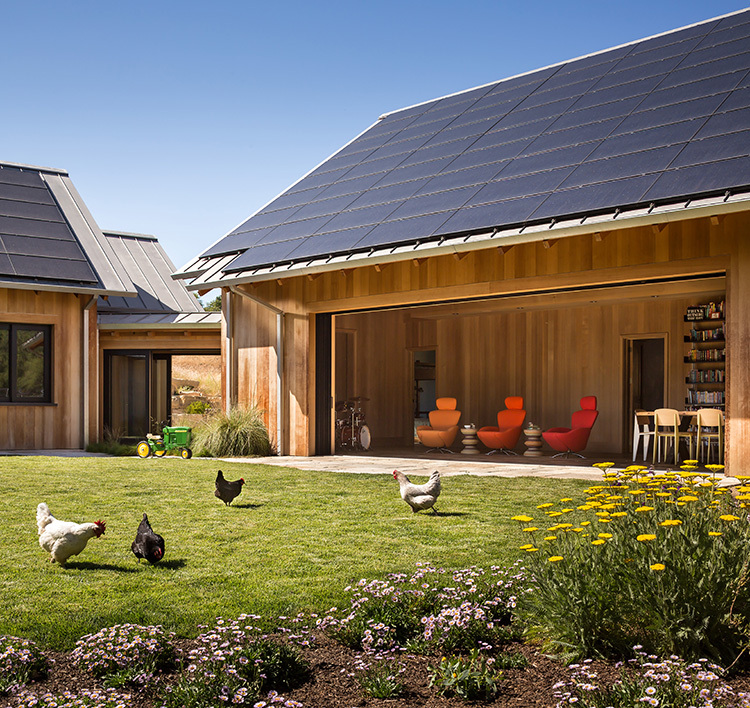 It is a net-zero energy and zero-carbon emission home, with a total of 153 points on the LEED for Homes rating system. All the colors, shapes and textures blend together creating a look that is rustic but not rough, contemporary yet comfortable, simple but welcoming. “Linda walked into the office with a complete concept guided by a set of six themes that would define the house,” explains Booth. They were a gathering place, global sensibility, outside-in, multigenerational, environmentally regenerative and a sense of soul. Christened “Tah. Mah. Lah.,” the Native American Ohlone word for mountain lion, the house was built on a 2.7-acre property in Portola Valley, about 30 miles south of San Francisco, that had been in Yates’s family since the 1960s, reflecting the couple’s belief that they are “part of a continuum of time” and should honor the past. Throughout the house the natural tones of the color palette are sparked by a pink that might be found in a sunset and blues reminiscent of the ocean. 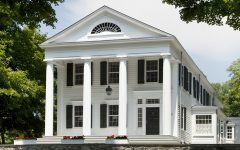 Walls and ceilings are made primarily of reclaimed, western red cedar; flooring, doors and cabinetry are of solid oak salvaged from old granaries; reclaimed limestone is used for fireplaces. Belgian bluestone forms the kitchen countertops. Scrap bronze makes up door and cabinet hardware and reclaimed iron and steel constitute the kitchen stove’s hood. 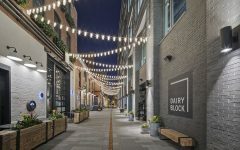 “We worked very closely with the architect,” asserts Booth, “influencing each other’s design and decision-making for material selections and detailing. We also had a very close relationship with the clients, especially Linda, who acted as project manager and was involved in every aspect from aesthetic to technical. “While all the environmentally-driven facets of the home were paramount, the interior décor was equally important to the family,” continues Booth. 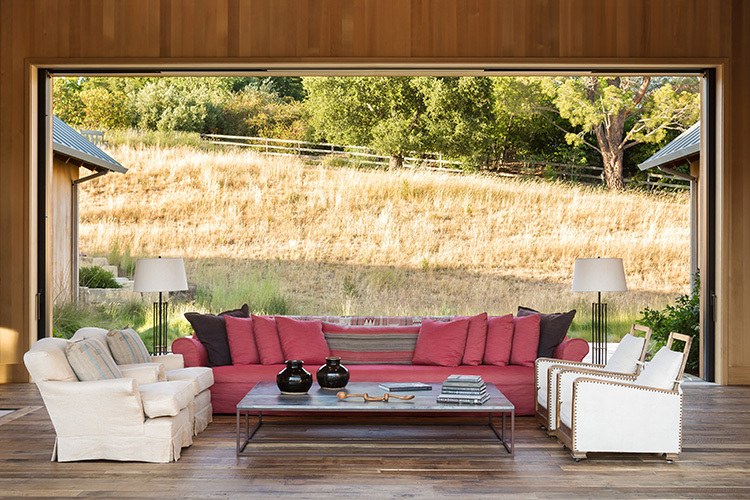 Inspired by the surrounding landscape of pastures, mountains and woods, and the family’s intellectual curiosity and worldwide travels, high-end furnishings were custom-made or selected for their use of natural and reclaimed materials, including many antiques the couple found while traveling. A few new pieces come from Belgian icon Axel Vervoordt, known for his work with sustainably-harvested wood, wool and cotton. Serious sleuthing turned up talented artisans employing traditional methods in the making of upholstered seating, socially-responsible manufacturers of hand-tufted rugs and wood furnishings made by local craftspeople. Photography Courtesy of Blake Marvin.